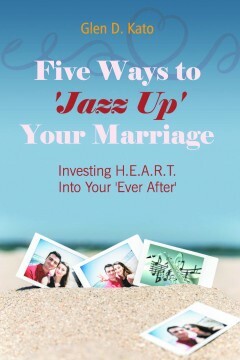 If you want to put some pizzazz in your marriage, read Five Ways to Jazz Up Your Marriage for proven and practical steps to take your marriage to the next level of intimacy! As a couple goes through the different stages in marriage, the husband and wife have the opportunity to bring life and freshness to their marriage as they incorporate hope into their relationship, especially when challenging times come; they gift each other with empathy, when one is having a bad day; they strive towards agreement and compromise as an expression of love and respect; they enjoy remembering where they’ve come from and look forward to where they are going; and finally, they forsake their independence in order to cherish and maximize their togetherness for the glory of God. Investing H.E.A.R.T. into their marriage will jazz it up towards their ‘ever after’! !